Dr. Elledge graduated with her Ph.D. in Clinical Psychology from the University of Kansas Clinical Child Psychology Program and completed the Child Clinical and Pediatric Psychology Pre-Doctoral Internship at the University of Louisville School of Medicine and Kosair Children's Hospital. Dr. Elledge's work will be primarily focused on seeing child and adolescent patients and their families in the Knoxville community, in addition to teaching Child Development at UT this fall. 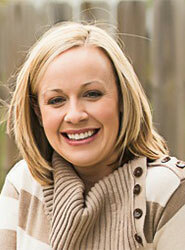 Dr. Elledge lives in Knoxville with her husband, Dr. Chris Elledge, and their 2 year old son.